Adam and I tried our best to record all of our expenses, big or small, to see how much we’ve actually spent during our 14 days in New Zealand. Inputting the numbers into a spreadsheet was dull and tedious, plus making notes and keeping track of every single transaction is more difficult than you may think, but the accountant in me kinda enjoys this stuff in a weird way. Our goal was to travel as cheaply as possible, while maintaining some creature comforts. I’m sure some can do the trip for even less by hitchhiking or couchsurfing, while some would prefer additional comforts and can afford to do it for more. The numbers aren’t 100% accurate. One example off the top of my head is that I’m pretty sure I don’t have all of Adam’s alcohol numbers (haha), but it should be good enough. Also note that a lot of these expenses were shared between 2 people, so that did make it easier on the wallet for us. Without further ado – pie charts! As you can see, skydiving and my Icebreaker purchases ate up almost half the pie (skydiving 27%, Icebreaker 19%)! Since not everyone will seek out these two things on their trip, these numbers have been taken out for a more normalized analysis below. 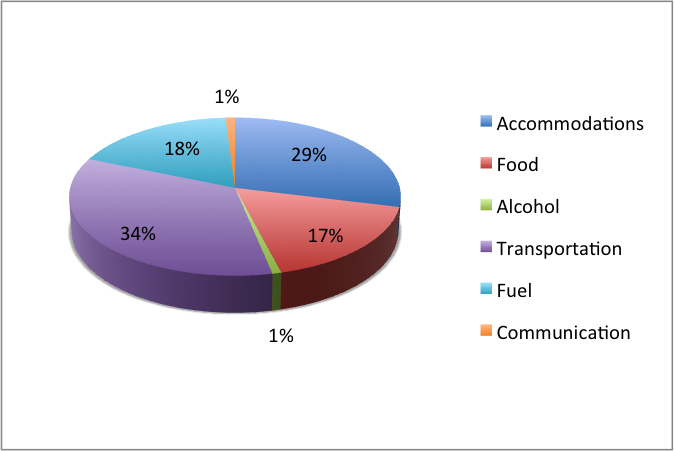 Without skydiving and my Icebreaker shopping spree, the next largest expense for us was our method of transportation (car hire 34% + fuel 18%), followed by accommodations (29%). 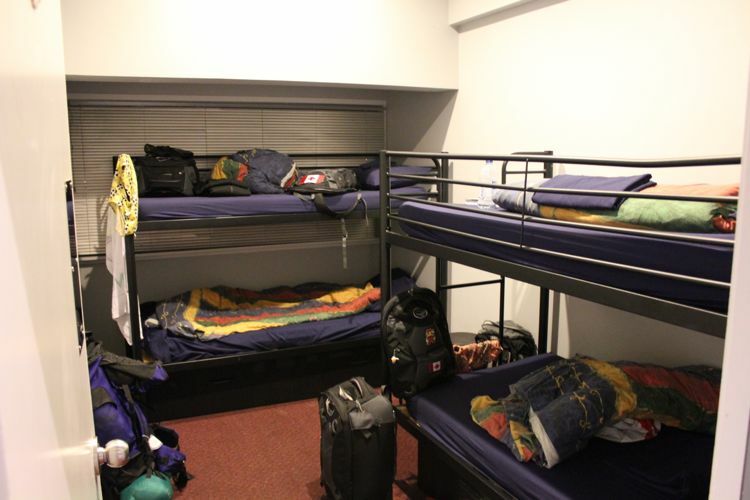 Adam and I only stayed in hostels, with dorm rooms ranging from 3 to 12 beds. 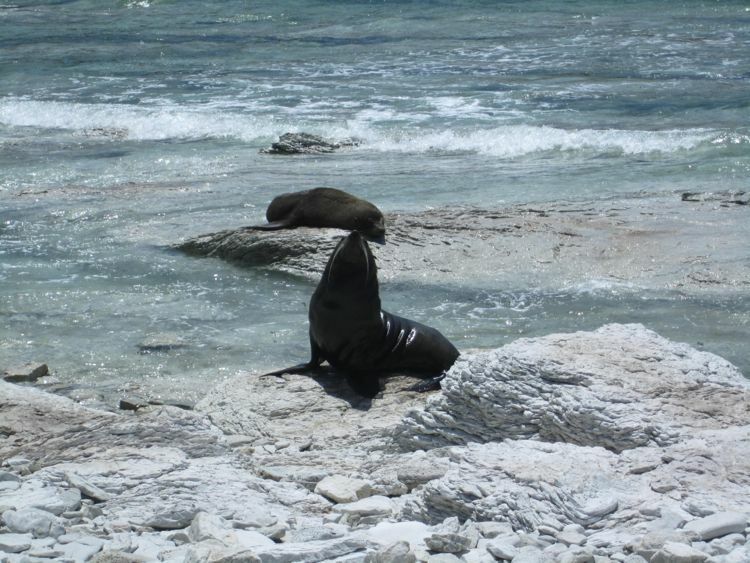 The prices per day per bed ranged from $19 NZD to $30 NZD depending on the location and hostel. Check out the costs page if you want to see which hostels we’ve stayed at and how much each one was. While searching for accommodations, my goal was to find a good balance between decent ratings/reviews, central location and price. Once I found a decent hostel, we would opt for the most number of beds in a room. My thinking was that if you’re going to share a room, you may as well go all out and share with as many people as possible to drop the price. 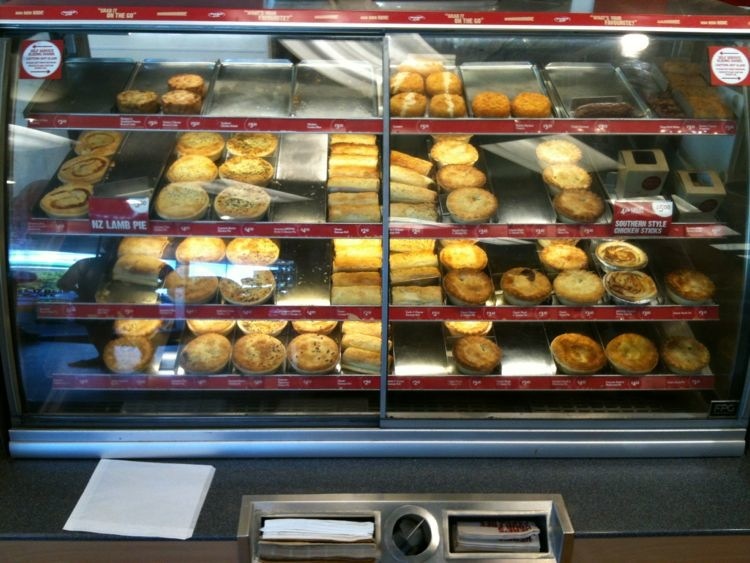 For the first few days, all we ate for breakfast, lunch and dinner were New Zealand pies. These were everywhere! You can get a hot one in a convenient store, gas station or grocery store for $2.50-$6 NZD depending on how fancy the pie is or the type of filling. We soon found refrigerated 6 packs in grocery stores and lived off of those until we learned to start using the hostel kitchens. The amount above allowed us 2 restaurant dinners, although nothing fancy (around $20 NZD/meal). Most of the time we either bought pies or groceries to cook at the hostels. We would also indulge in fresh fruits from road side fruit stands whenever we saw them. The number above is definitely inaccurate. Adam estimates it should be closer to $100 CAD ish. This number is pretty personal and depends on how much or how little you like to drink. 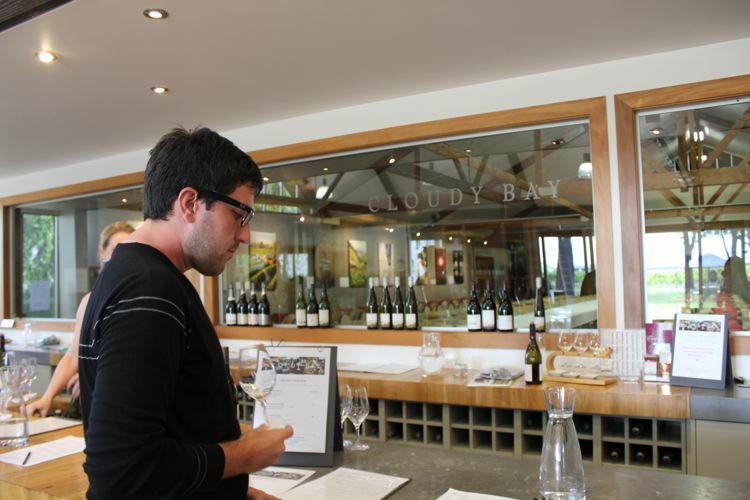 Adam likes to check out local microbreweries and wineries wherever we go. We hired a car from Apex Rentals (thanks to a recommendation from Chris at Bootsnall) for all of the 14 days and drove around the entire time we were there. The numbers above included a ferry ride on the Interislander for 2 adults and 1 vehicle from Wellington to Picton. Normally an adult ferry ticket is $65 NZD, and a vehicle ferry ticket (<1.8m high) is about $140 NZD. It is interesting to note that the amount per day was cheaper when we booked 14 days, as opposed to 12 or 13 days due to certain promotions or bulk discounts. Most companies would charge you extra for a one-way rental. Apex did not, which was great. We picked up the car in Auckland and returned it in Christchurch. Most companies would make you drop off the car before getting on the ferry at Wellington or Picton, and then give you another car once you get to the other island. Apex did not do this as well. 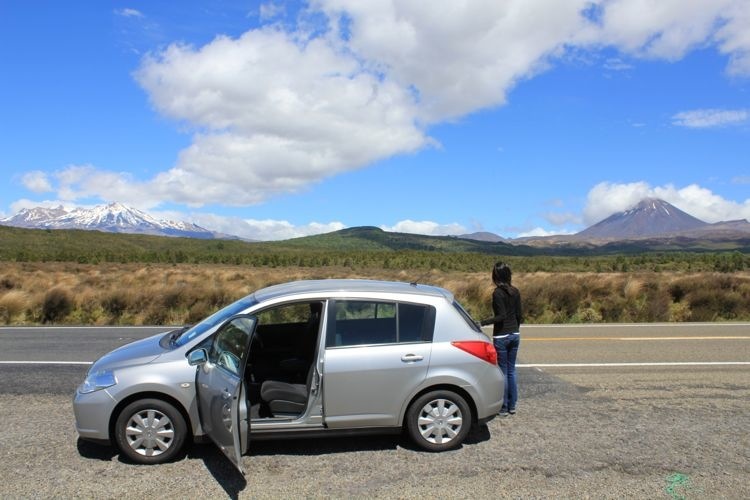 Driving is a fantastic way to see New Zealand if you have someone to share the driving and expenses with. Having a car allowed us the the flexibility to determine our own schedule, and stop by at whatever lookouts or scenic reserves we found interesting. We drove approximately 841 km on the North Island, and 2,139 on the South Island, for a total of 2,980 km. We originally planned on getting a campervan, but that option turned out to be much more expensive. I’m definitely glad we chose to hire a car considering all the steep and windy roads we drove through. Despite having driven for 10 years, I’m not a very confident driver, I don’t know how I would’ve managed all the switchback mountain roads in a giant campervan, while also trying to master driving on the left side of the road. Below is a list of the fuel prices we observed in January 2013. 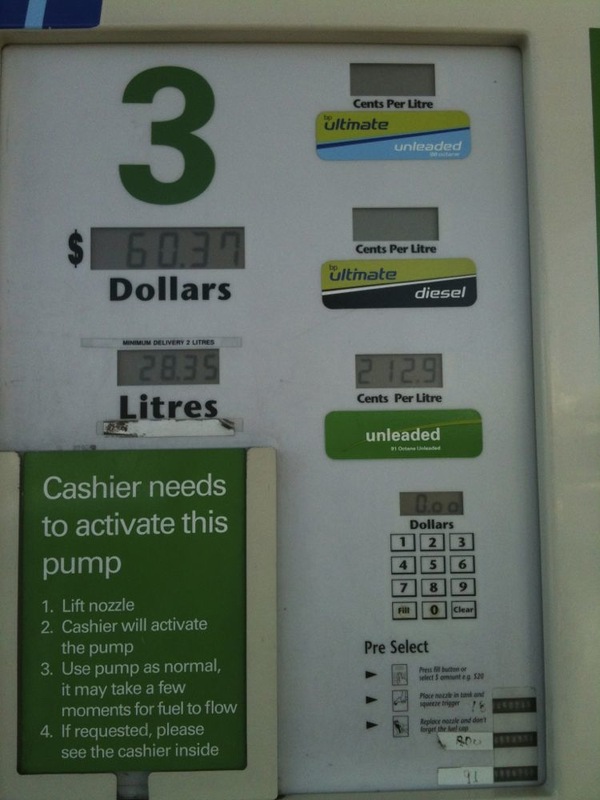 If possible during your trip, do your best to avoid the need to fuel up in Wanaka, Haast or Franz Josef. When we picked up our car at Apex Rentals, the agent offered us a free sim card to 2Degrees. I’m pretty sure you can grab one of these at the airport too. Adam’s experience with this was quite pleasant. He called an automated number and chose their cheapest plan ($20 NZD), which was paid by punching in his credit card information. Unfortunately we don’t have the details of exactly what the $20 NZD gets you, but Adam was able to send text messages and make several lengthy international and domestic calls. Whatever the plan was, we felt that it was worth it. I opted for a $5 NZD calling card. I think calls to Canada were 1.9 cent/minute, which was more than what I needed to check in with my mom and follow up on some banking issues I had back at home. Calling cards are widely available at any convenient or grocery store. Free wifi can sometimes be found in public areas such as museums, harbour fronts or restaurants and bars. 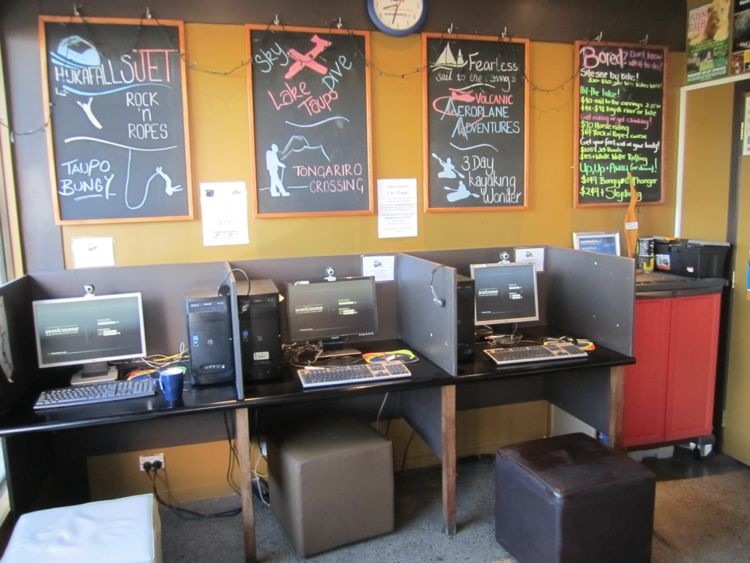 Some hostels provide free wifi while others would charge you a fee, and sometimes those fees can be surprisingly high. It all depends on where you are. Even if a hostel provides you with free wifi, it might only be 15 minutes worth. You could try the local McDonalds or Starbucks as well, but their connection can be pretty weak. 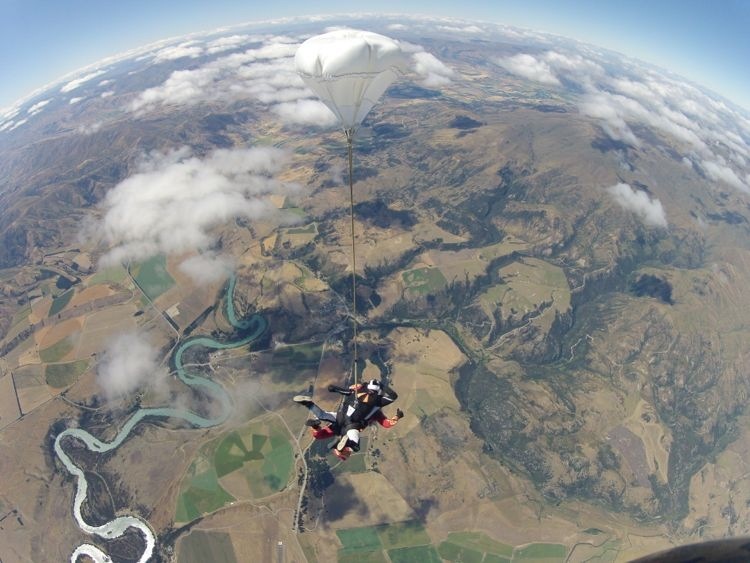 No trip to New Zealand is complete without going skydiving! It took us three tries (we got rained out twice), but we were finally able to jump out of a plane from 15,000 ft over the beautiful Lake Wanaka. The 15,000 ft jump alone was $429 NZD with Skydive Wanaka, but we opted to get everything photographed and video-graphed, so that cost us an extra $199 NZD. Check out Adam’s post here about our skydiving experience! I won’t go into too much detail about Icebreaker here because I really want to write a separate post about how much I love them. (Update: here’s the post!) It is a company based in New Zealand that specializes in Merino wool clothing, which is great for travel. 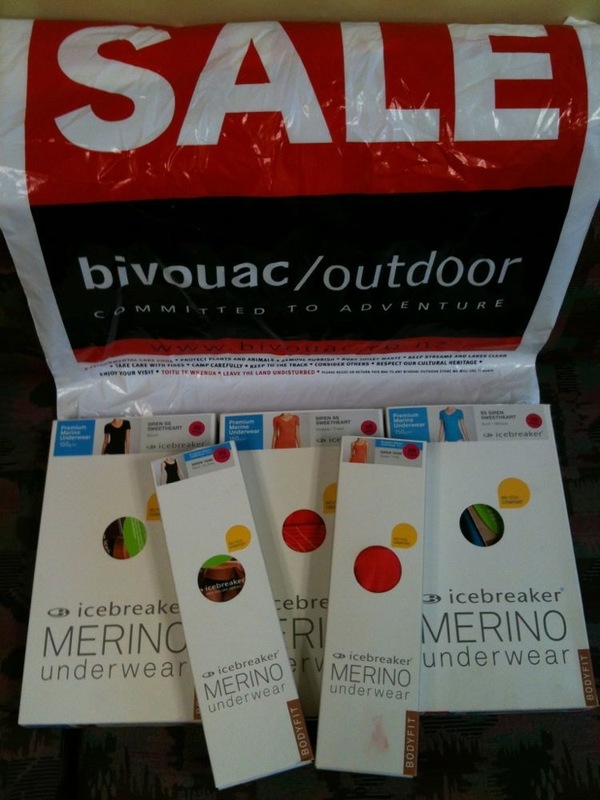 One of my objectives of the NZ trip was to stock up on Icebreaker clothes, and stock up I did! Luckily we were in NZ early enough in January to still catch some of their post-holiday sales, so I got a bunch of t-shirts, underwear, socks and sweaters. It cost me a bundle, but I also saved $425 NZD! So far it seems like Icebreaker rarely goes on sale in Canada. 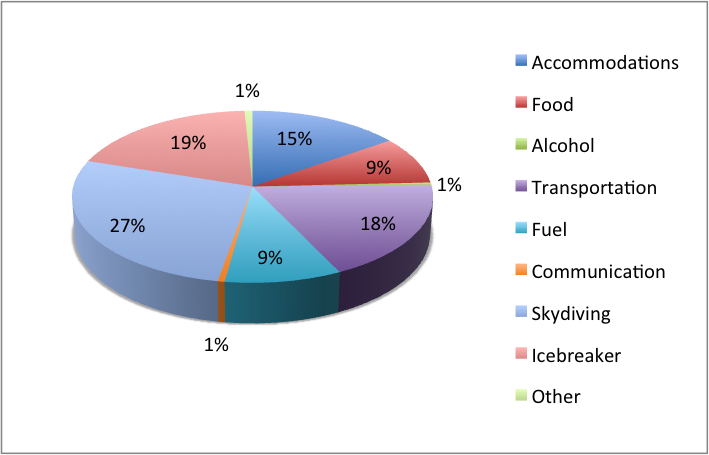 Excluding flight, skydiving and Icebreaker, our average daily cost in New Zealand amounted to $76 CAD/day/person. New Zealand’s scenic reserves and walking/hiking trails are very well marked, with clear signs pointing you to them. These trails could lead you to views of beautiful mountains, lakes, ocean, wildlife and vegetation. Every city and town has a map of their immediate area that you can explore, and almost all of them will have at least a handful of scenic walking trails. You can find these maps at hostels or the local iSite Visitor Information Centre. If you’re perfectly happy just taking in the incredible scenery of the country, then technically aside from food, accommodations and transportation, you don’t have to spend another penny and still keep yourself very busy. 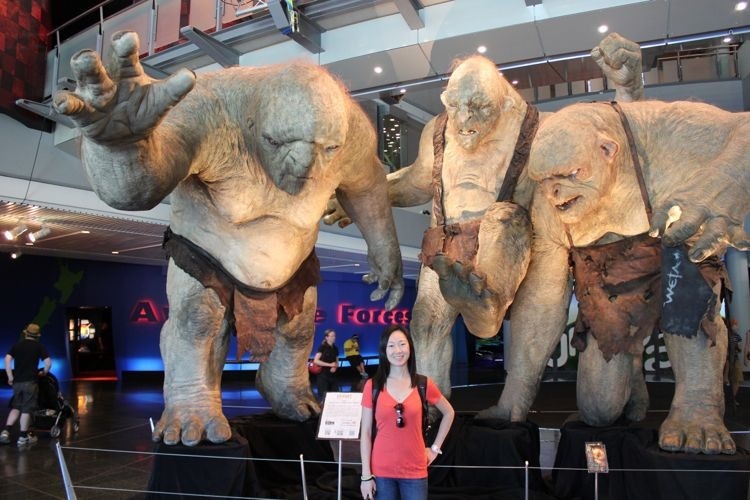 Also, if you end up in Wellington, the Te Papa Museum is a great place to visit. Free entry! Julie! You are amazing!!! I love the pie charts. Thanks Annie! I know right?! Pie charts are wonderful haha!